Fried catfish with dill, onion, turmeric and galangal have been serve as one of special dish for dinner in Hanoi for nearly 15o years. “Cha Ca La Vong“, a famous catfish restaurant in Hanoi just into list of 12 restaurants “worth traveling across the world to experience” by US news website Bloomberg. Scorched squares of sizzling catfish, vibrant with dill, onion, turmeric and galangal flavors await customers from near and far. The restaurant was named Jiang Ziya (La Vong in Vietnamese), a Chinese noble who helped kings Wen and Wu of Zhou overthrow the Shang in ancient China , in 1871 during French colonial times. Located in 14 Cha Ca Street Hoan Kiem District, many people believe that the street ứa named after famous dish serve at this restaurant. Diners sit at a common table with a stove installed in a burner. The fish marinated with turmeric is added to the sizzling garlic oil, then dill the dill and shrimp paste. The client’s job is to add herbs, pickled peppers, peanuts and noodles, all of which are on the table. 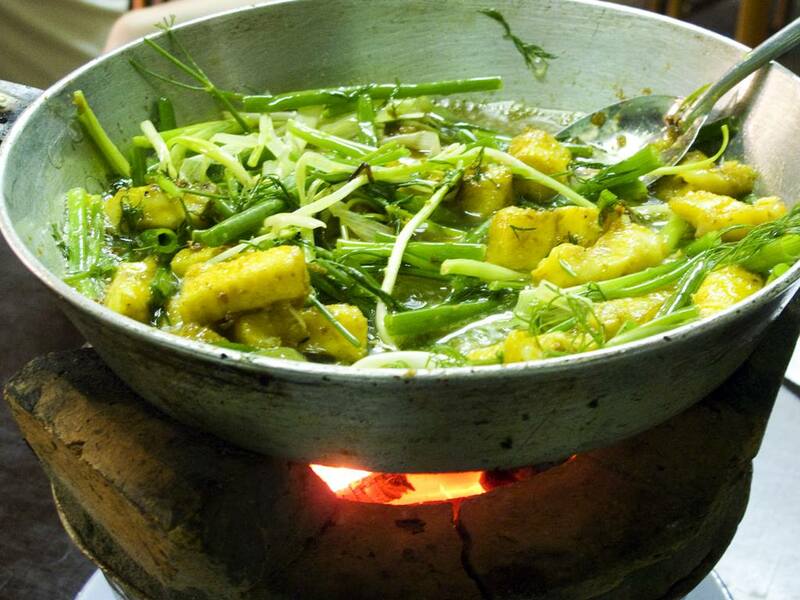 If you’re already in Hanoi, don’t bother globetrotting and indulge in a steaming skillet now.